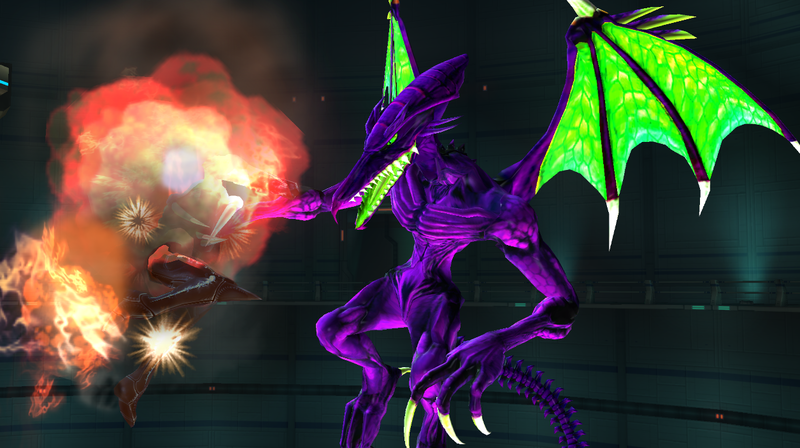 Update (February 21st, 2019): A minor update has been made to Classic Ridley. It includes a handful of interaction fixes, alongside the inclusion of files for Legacy XP users. Please re-download if you've downloaded before February 21st, 2019. However, I will hold off on updating the premade build for now. Original Description: It's finally time to release this major, expansive, and heavily anticipated update to Classic Ridley. It's been over a year and a half, so we hope all this time and effort has been worth it. I would have never been able to achieve this without the help of some very talented people, including the user who started it all: BaganSmashBros. Thank you, everyone, for being so patient with us. And have a happy New Year. 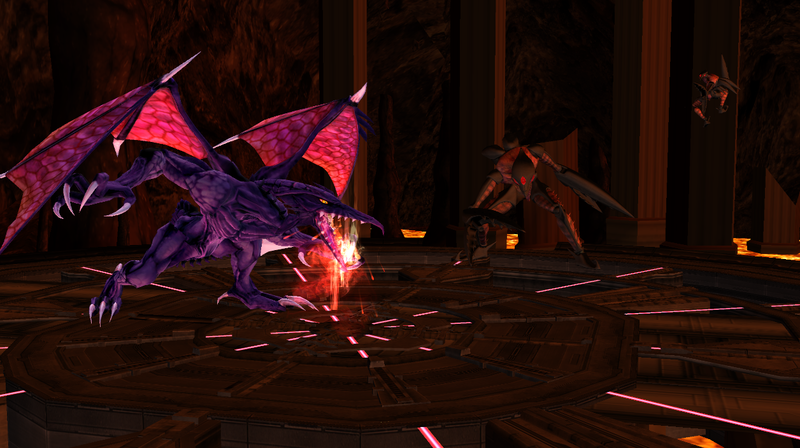 This pre-made build is a PMEx build with Ridley re-inserted, alongside some other goodies. An addon for the CSProject filetree that will allow you to easily make cosmetics for your own personal Classic Ridley recolours and costumes. Comes with the .blend files for all of Classic Ridley's costumes, renders and UI replacements in both standard and HD, and the pose. [OUTDATED] Classic Ridley Balance Overhaul (BrawlEx/PMEx Only) by KingJigglypuff, R̢i҉̴̛͜d̷̕҉̴l̨̧͠͡e͘͜͠y̴̶͡͠͞, PyotrLuzhin with credit to Users in the included Credits.txt. As of January 3rd, 2019, this entry has been made outdated with my newest update, so please visit that instead if you wish to be up-to-date. After a few months of backroom workings, I've finally decided to release my balance overhaul for Classic Ridley to celebrate my 23rd birthday! There's lots of information to be had here, so please take the time to read every included txt file, starting with the Included Files.txt document. *NOTE: this is not 100% finished. It's missing several animations. Those include: 2 victory animations, all taunts, swimming animations, proper slipping animations, all animations related to items, +100% ledge actions, ladder animations, etc. But he is ready for competetive fights. You don't have to worry about him suddenly using original character's animations or crashing. As many of you have been waiting for this to be released, I decided to release current version. It is stable and I don't think I'll be able to work properly on it for a while, so, here it is! 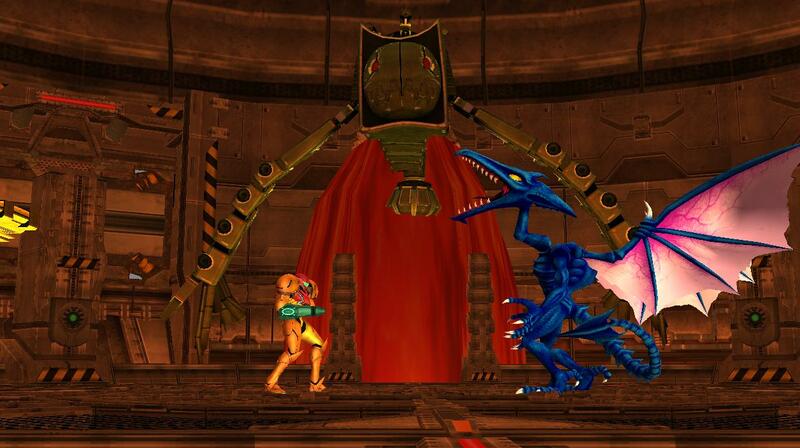 By default, Ridley is meant to replace Lucario, but he can work over any character with PyotrLuzhin's module. He shares his soundbank with Wolf and uses Gray Fox's GFX. To put him over a character, rename his files to fit the replaced character's system name (for example, FitRidley.pac > FitLucario.pac). IF YOU DON'T READ THE "README! ", DON'T COME TO ME FOR HELP BECAUSE I WILL NOT REPLY BACK! 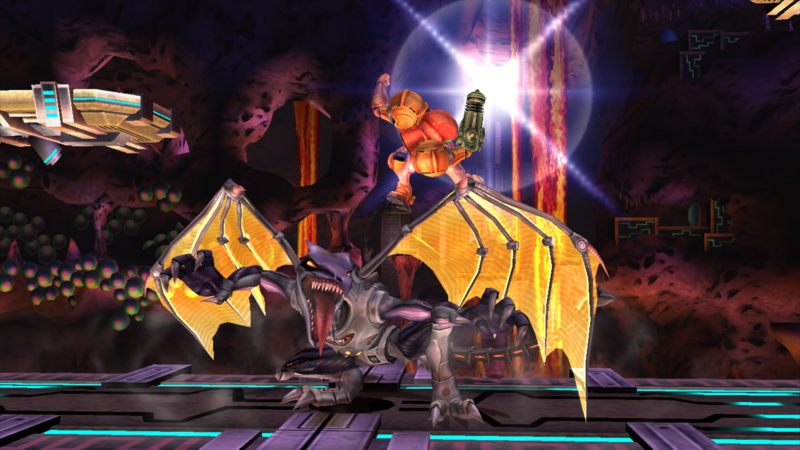 VBrawl compatible Ridley uses the 2.2 version of Project M Ridley, with also the proper AI to fight against. Now, us non-Project M players can enjoy this moveset! Just bare in mind...THE ORIGINAL SIDE-B CRASHED THE GAME DURING TESTING, THE SIDE-B NOW REFERS TOO NEUTRAL-B MOVE! I have to get "Pikazz" to somehow re-code the Side-B. Also, I've tweaked a couple of things just a tiny bit. This is modified version of PM Ridley mod's model. Its thinner, has longer claws, shorter head, 2x more teeth, different tail blade and darker colors. Includes CSPs, CSS and BPs. Does not includes stocks or extra recolors. Ridley's Lair (Project M 3.6) by R̢i҉̴̛͜d̷̕҉̴l̨̧͠͡e͘͜͠y̴̶͡͠͞ with credit to All BRSTMs converted by The Mushroom Hero, tested by Weizz, GerbilCrab475 and Dastardly Ridleylash from Smashboards. 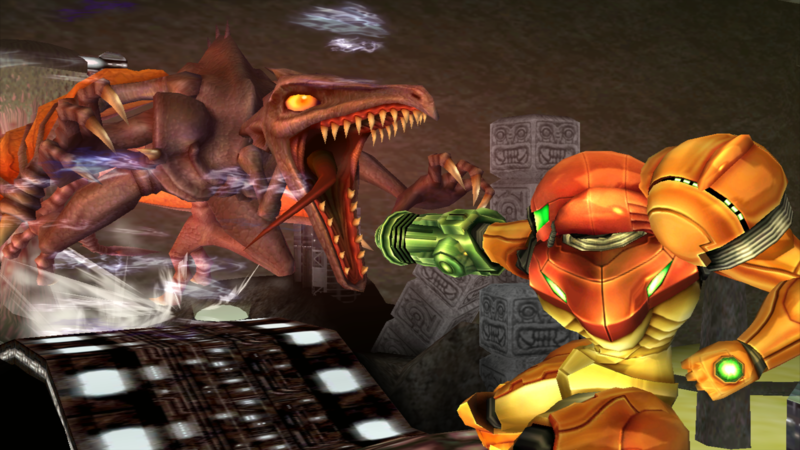 Ridley's Lair from original Metroid, Super Metroid and Metroid Zero Mission. Most likely can go over Norfair, but im not sure. 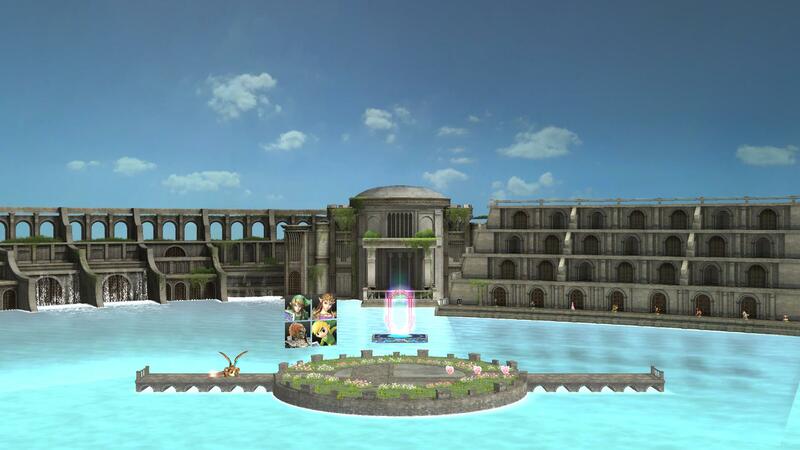 Should be \"tourney legal\" since it lacks stage hazards, ceilling, walls and walk-offs. Above average stage size. Has 2 versions with 3 variations each. More about it in the readme. Project M Ridley 2.1 Extra Recolors by R̢i҉̴̛͜d̷̕҉̴l̨̧͠͡e͘͜͠y̴̶͡͠͞ with credit to KingJigglypuff for resizing the model, SchAlternate (Smashboards) for improving original textures and Dr. for fixing and optimizing the model. Click on the thumbnail to view preview screenshots. 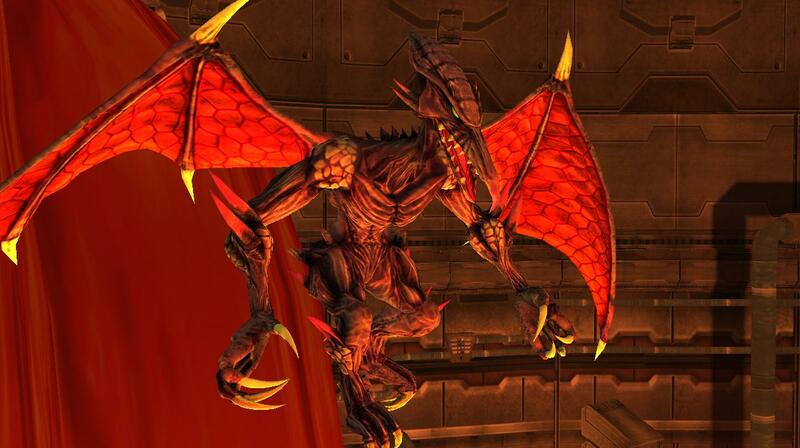 *Charizardley - based off various \"Ridley will be Charizard clone\" claims and, of course, Charizard. Was cut from the main mod since version 2.1. *White color - just a white recolor of Ridley with blue eyes. Was cut from the main mod since version 2.1. *Firebrand - based off Firebrand from Ghost 'N Goblins/Gargoyle's Quest series. Was cut from the main mod since version 2.0. 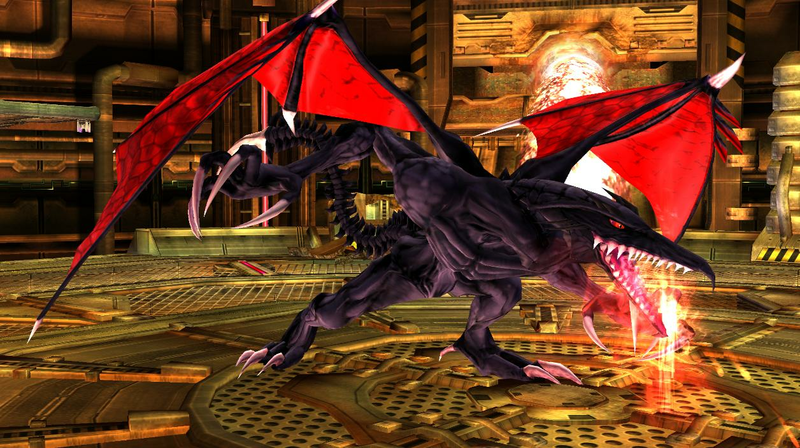 *Nemesis Meta Ridley - based off Nemesis Prime and various other black and red recolors. 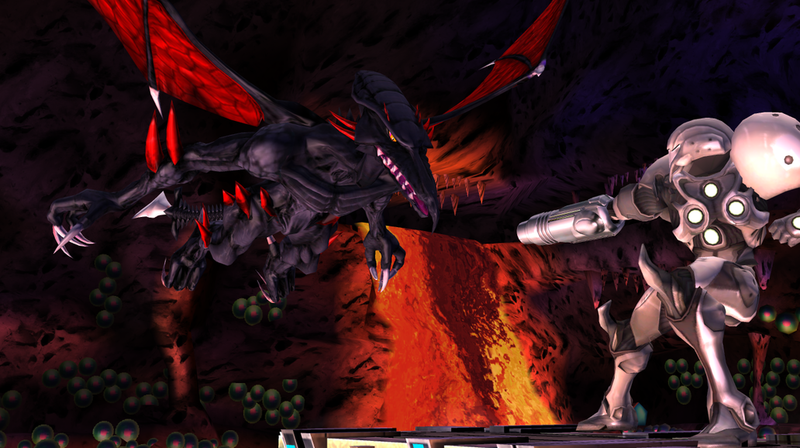 *Metroid Blast Robot Ridley - based off Ridley Robot from Nintendo Land. 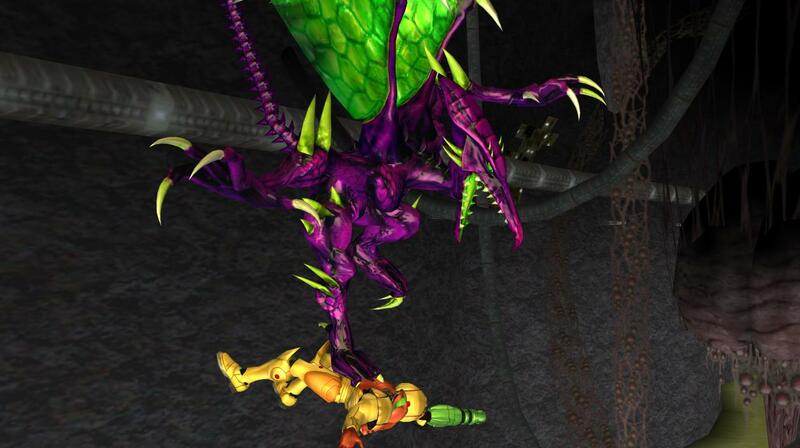 *Metroid Prime 3 Corruption Meta Ridley - based off Meta Ridley from Metroid Prime 3. 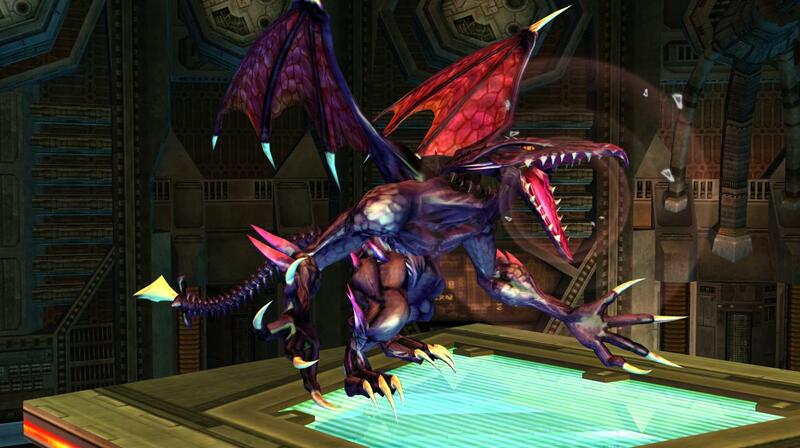 *Mecha Ridley - based off Mecha Ridley from Metroid Zero Mission. *Phantom Ridley - just a random recolor out of nowhere. Has glowing eyes, claws, wing spikes, etc. As seen in last 2 previews, when under Metal Box's effect, everything else turns completly black (FitPhantomAndShadow00 only) or purple (FitPhantomAndPurple00 only) as a reference to Shadow Bonnie and the murderer from FNAF. Unfortunately, CSPs and BPs have slightly different size from main mod's, but i couldn't find proper size for them. Project M Spiked Ridley by R̢i҉̴̛͜d̷̕҉̴l̨̧͠͡e͘͜͠y̴̶͡͠͞ with credit to KingJigglypuff for resizing the model, SchAlternate (Smashboards) for improving textures and Dr. for fixing and optimizing the model. CSPs are in the images section (if you don't know where it is, then click on icon next to icon with red "!"). 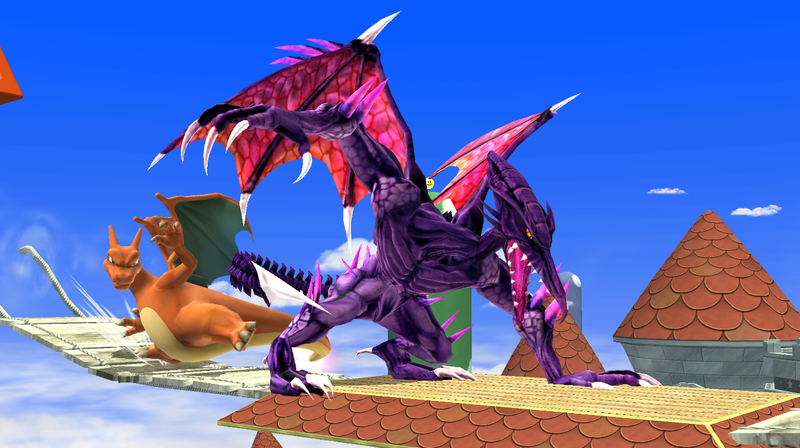 Basically changes color of Ridley's wing spikes and gives him his arm and leg spikes back. Has minor lag with 4 players, but its fine with 3 and less. Compatible with 3.6. Do not feed. Edit2: Dont jump off the sides of the stage, doing so will cause you to die and not return to the rest area. Edit: This is only for vBrawl only! PM users, stick with PM rest area. Thanks to Ridley for fixing 5 character icons for the battle info portraits! 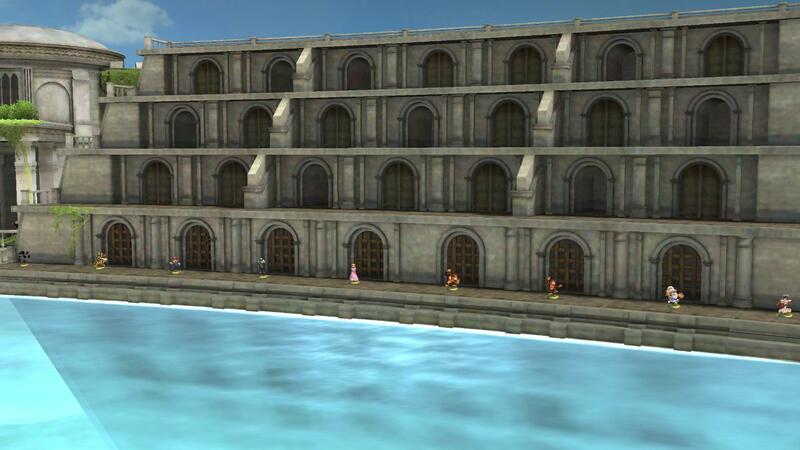 This stage pretty much PUSHES the wii to its boundaries with all the details in this stage. Trophies are placed on the stand in the background, and the first 2 rows shows 9 each, then the last 2 shows 8 each! SSB4 Mewtwo voice and SFX (Project M only) by R̢i҉̴̛͜d̷̕҉̴l̨̧͠͡e͘͜͠y̴̶͡͠͞ with credit to Random Talking Bush from Sounds Resource for ripping those sounds. 16.05.15 - Thanks to KTH, now this mod has real preview. FluffyGomez made one too, but i for whatever reasons, i put download link instead of it. Replaces all of Project M Mewtwo's SFX and its voice with SSB4 SFX and voice. That weird...yell is replaced with japanese version of the victory animation SFX ("Watashi wa naze koko ni iru no ka?" instead of "HHHNNNNNNNARGH" because what the hell. Note: no preview. Couldn't find any and can't make one either. But since its required. had to put something else that at least somehow is related. Hit SFX (fire, explosion, electric, every single one of them), Shield SFX (break, toggle on and off, shield hit, etc), Star KO and normal KO SFX. Sounds taken from Sounds Resource. There was a similar one uploaded, but this one has a lot more replaced. PM Ridley addon v1.95 (unofficial) by R̢i҉̴̛͜d̷̕҉̴l̨̧͠͡e͘͜͠y̴̶͡͠͞, Shiro_Neku with credit to with credit to Shiro_Neku for the port, KingJigglypuff for some coding help and fixing the model, drogoth for fixing side B, themaziest (smashboards) for Ridley-X roar and victory fanfare, SoulOfSmash, GanonFist and Warzenschwein (smashboards) for beta testing, Super Smash Bros Crusade developers for some of the moveset ideas, SchAlternate (smashboards) for improving textures. Update 25.03.2015: now it works. Whoops. 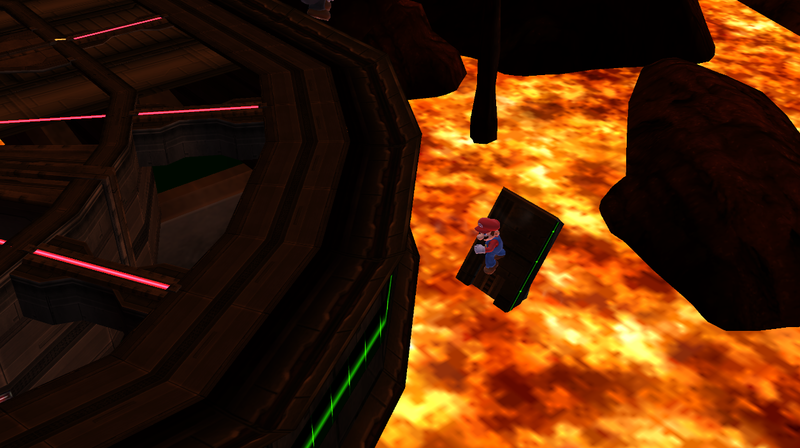 Addon pack for Unofficial Project M Ridley mod by me. Includes version 1.95. EDIT: don't report this unless there is a bug, glitch or something signifficant. I know its same thing as in main pack, but not everyone will use addon, so, it will just take space in it. BrawlEX Ridley PSA v1.77 by R̢i҉̴̛͜d̷̕҉̴l̨̧͠͡e͘͜͠y̴̶͡͠͞, Shiro_Neku with credit to Shiro_Neku for the port, KingJigglypuff for some coding help and fixing the model, drogoth for fixing side B, themaziest (smashboards) for Ridley-X roar and victory fanfare, SoulOfSmash, GanonFist and Warzenschwein (smashboards) for beta testing, Super Smash Bros Crusade developers for some of the moveset ideas, SchAlternate (smashboards) for improving textures. Edit: DO NOT DOWNLOAD. It uses Pit's SFX and GFX for now. You must know how to use BrawlEx to use this. 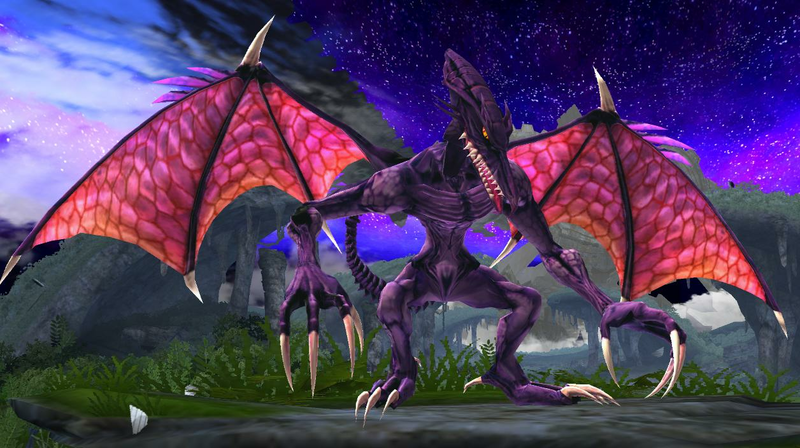 Project M Ridley Spikeless model by R̢i҉̴̛͜d̷̕҉̴l̨̧͠͡e͘͜͠y̴̶͡͠͞ with credit to KingJigglypuff for resizing the model, SchAlternate (smashboards) for textures. Same as normal model, but without all of those spikes. Still no CSPs and things like that. Yet. Contains both normal and desaturated textures. Project M Ridley Desaturated Textures by R̢i҉̴̛͜d̷̕҉̴l̨̧͠͡e͘͜͠y̴̶͡͠͞ with credit to KingJigglypuff for resizing original model, SchAlternate (smashboards) for original textures. Same thing, but with desaturated textures. Does not includes Other M recolor and things like CSP for reasons. Must be put into projectm>pf>fighter>pit. 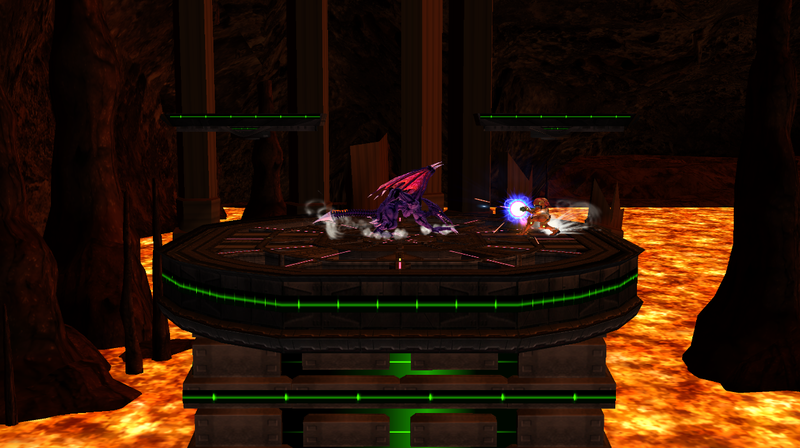 (v2.2 beta available) Project M Ridley v2.1 (Project M 3.6 only) by R̢i҉̴̛͜d̷̕҉̴l̨̧͠͡e͘͜͠y̴̶͡͠͞ with credit to KingJigglypuff for coding help and resizing and fixing model several times; themaziest (smashboards) for Ridley-X roar, some of the sounds and victory fanfare; drogoth for fixing Side B; SoulOfSmash, Capt., GerbilCrab475, PrinceGal3n, NXero, ggmonx, MerryShadow, Dastardly Ridleylash, GanonFist, Weiss and Warzenschwein (all of them from smashboards) for beta testing; Dastardly Ridleylash (Smashboards) and MerryShadow (Smashboards) for some minor coding and image editing help; PyotrLuzhin (smashboards) for future .rel ports, RSBE01.gct codes help and RSBE01.gct file included; SchAlternate (smashboards) for improving textures; Dr. for fixing and optimizing the model; pikazz for Side B coding. Click on the thumbnail/banner for previews. 08.11.15 - Released beta version of 2.2. Main download link is not updated and instead its included in description. 05.07.15 - Released version 2.1. 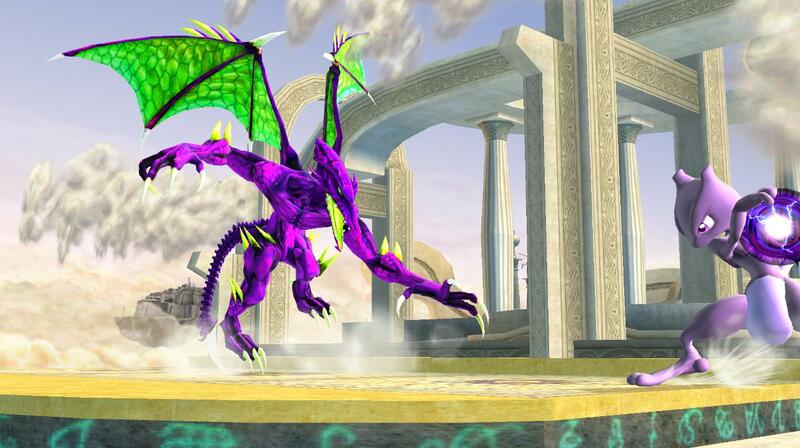 Now Ridley is compatible with Project M 3.6. 22.06.15 - Fixed Side B and added missing hat by default. Whoops. 21.06.15 - Released version 2.0! F***ING YES! 22.03.15 - Released version 1.9. Not 2.0 yet. 28.02.15 - NOW that glitch is fixed. For everyone this time. 24.02.15 - Released version 1.75 with game crashing fix and codes file included which i forgot in previous versions...whoops. 18.02.15 - Released version 1.5. The leader of the Space Pirates, the Cunning God of Death, joing the...Project M? Its time to ENGAGE RIDLEY MOTHER F___ER! This is unofficial mod for Project M that replaces Pit with the giant space dragon so many wanted, but in the end didn't get in SSB4. His moveset consists of various attacks from his boss fights - pogo tail, fireballs, reflective skin, floor grinding throw and more! This is not just your common PSA with horrible animation that exist just to exist. Its not exactly on Brawl animations' level, but still a lot higher than normal. Enjoy this mod. Does not works properly in Brawl and SSE (both in Brawl and Project M). Nothing is final (except for moveset), everything is subject to change. Any reports of what is already listed in readme will be removed. Thanks to Arko for preview video. Updated version of the Pyrosphere by ALM5252 and Gravity. 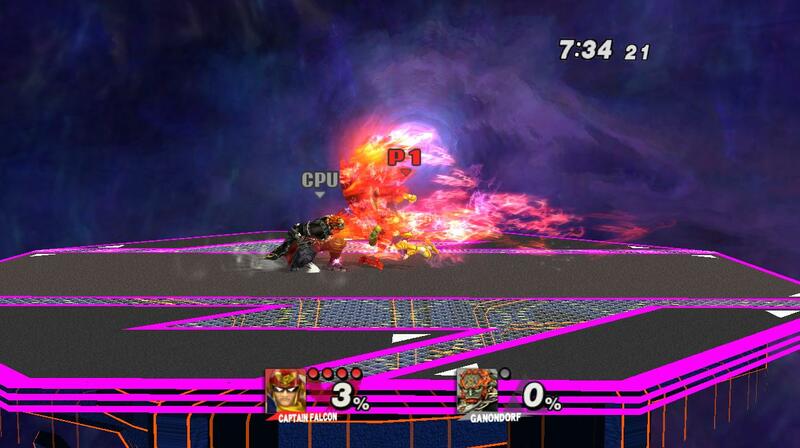 It includes Other M Ridley instead of Brawl Ridley used in original stage and this pack Nightmare alt version of the stage shown on one of the screenshots (it is a purely aesthetic/visual change since neither Ridley nor Nightmare are stage hazards). No video preview for now, but it will be uploaded soon, so, have screenshots only for now. Doesn't comes with the SSS Stuff. Should work with regular Brawl, etc. HYES Falcon Captain Falcon Falcon (Project M only) by R̢i҉̴̛͜d̷̕҉̴l̨̧͠͡e͘͜͠y̴̶͡͠͞ with credit to Project M for original Captain Falcon, Captain Falcon for approving this PSA. 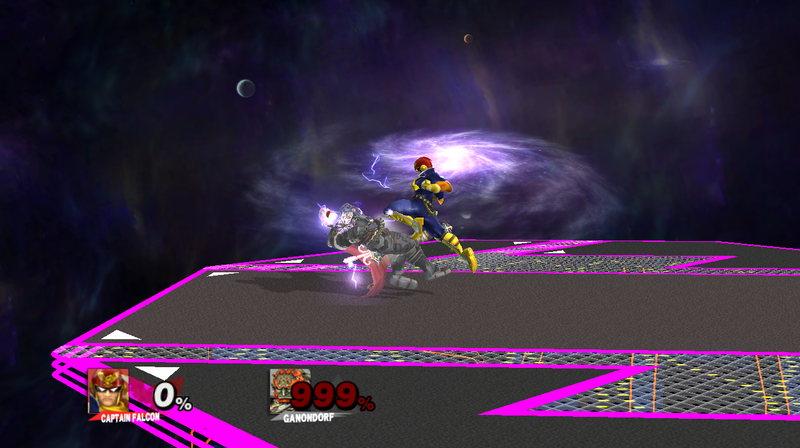 Captain Falcon decided to release another % of his full power and oh boy, it doesn't ends well for his enemies. Now Falcon Punch, Knee of Justice, Raptor Boost (or whatever Side B was called) and dash attack instantly kill anyone on the screen with "HYES!" 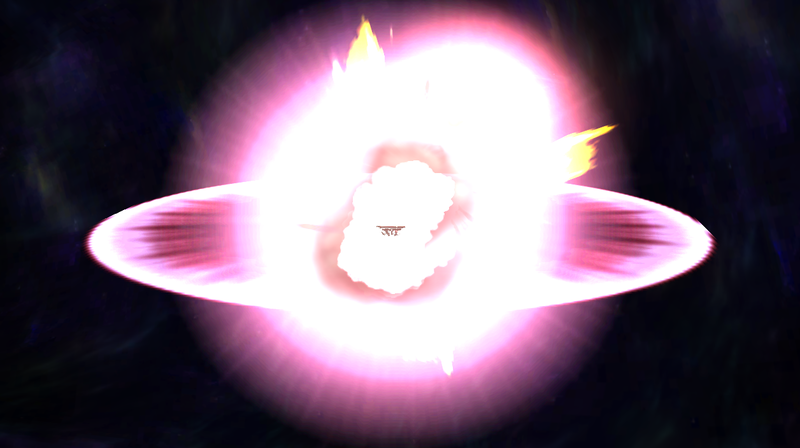 and a massive explosion of awesomeness (explosion with Final Destination inside of it shown on one of the screenshots). Also, it adds "FALCON KICK!" and "PUNCH!" to few attacks. I will remove it if i am not allowed to make PSA for Project M using Project M characters. Fixed previews, now it won't get reported for that. 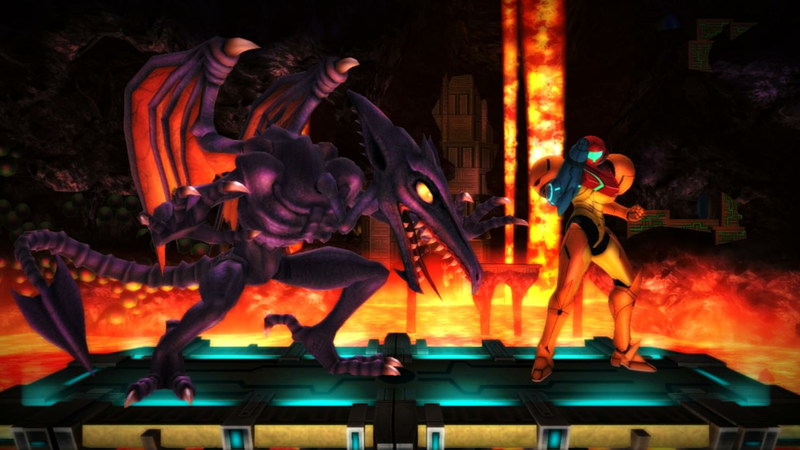 Want to replace Charizard with your favorite Metroid villain? Do you now need recolors for cBliss? If your answer is yes, this pack is for you. 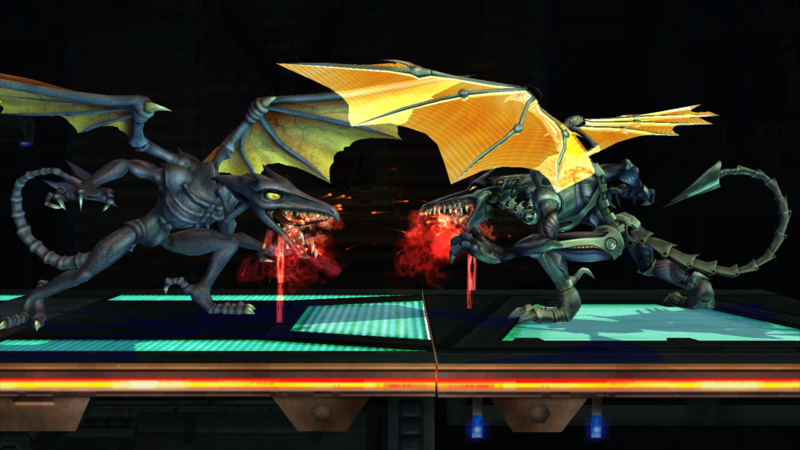 Since there weren't originally any recolors and now that it's possible to use 10 costumes with ASF1nk's cBliss, I've recolored snoopy's imports of Ridley and Meta Ridley to look like his appearances in every Metroid game he's been in. 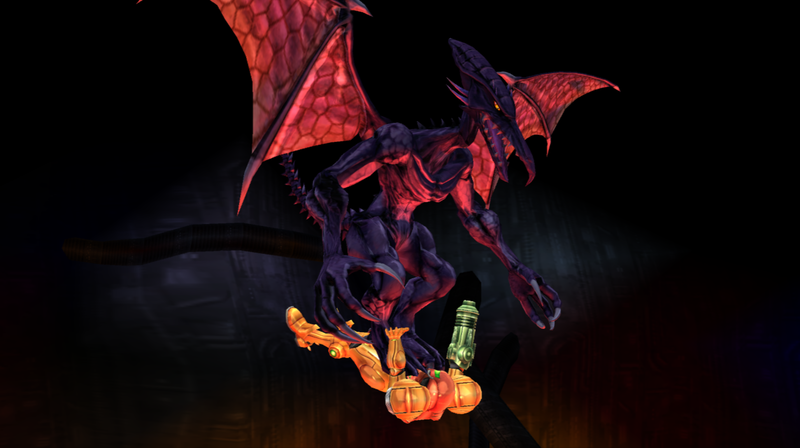 BaganSmashBros recolored the original Ridley into Other M Ridley, I just removed the fire from his tail since it's not on any of the other textures. CSPs, multiple Icons, and CSS Names are included. Game - Metroid Other M.
Wasn`t hard. Wings are a bit damaged. Can be used with Ridley PSA. Now there is another clone? And Adam didn`t authorized Final Smash for now. Use your Thunder attack! Same texture as my first hack`s. Page created in 0.636 seconds with 127 queries.